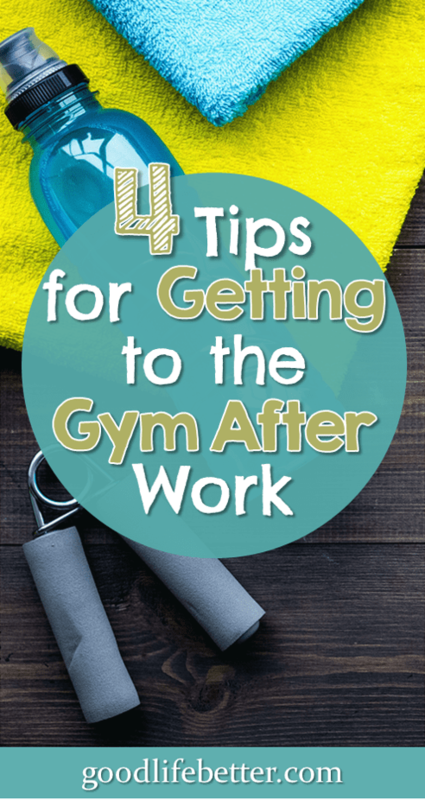 4 Tips for Actually Getting to the Gym after Work | Good Life. Better. I am not a morning person. I like to sleep right up until the time I absolutely have to get up to get to work on time (which is currently 7:12 am, about an hour and a half before my workday starts). I have embraced this about myself and have stopped trying to change my ways (my friends and family have thanked me for this, by the way). This means, of course, that if I am going to make it to the gym it happens after work. I’ve gotten pretty good over the last few years figuring out what habits help me get in my workouts. 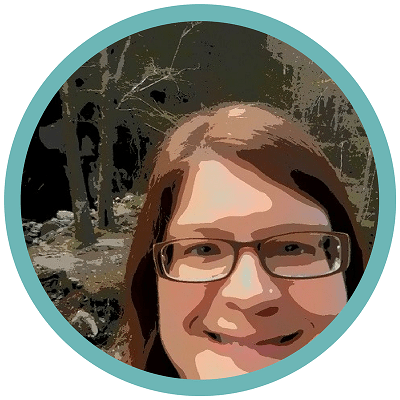 Here are four habits that help me that can help you too! Identify which specific days of the week you will go to go the gym and write it down in your calendar. For me, it is Mondays and Thursdays with Wednesdays thrown in if I don’t have anything else planned. Knowing which days I am going means that I adjust other activities around my workouts. I can meet someone for a happy hour or attend other events on Tuesdays, Wednesdays or Fridays with no guilt because I know that I will still meet my weekly activity goal. Someone only available to meet on a Monday or Thursday? I tell them I can but not until 7 pm and then warn them I will be showing up in slightly stinky workout clothes. They usually don’t care since they want to see me, not my outfit. Have a dedicated gym bag and a dedicated pair of workout shoes for that bag. It took me several attempts to find the right gym bag for me. I dislike duffle bags and a lot of other bags weren’t roomy enough for my giant sneakers (I have big feet). I finally settled on the Vera Bradley Travel Tote (which I am not sure the company still makes). It has lots of inside pockets for everything I might need at the gym and my shoes fit nicely in the central part, leaving room for my workout clothes. I really like the handles too: they drop down low enough so the bag isn’t tucked right up under my arm but not so low that it is bumping against my hip when I walk. Having a dedicated pair of shoes is a must for me because it reduces the time it takes to get my bag ready to go. I have found even that little nuisance can be a stumbling block so investing in a second pair is well worth the money. Pick a gym that is close to work and on your way home, not a gym that is close to work but out of the way, or on the way but closer to your home than your work. Why so specific? I have found that if the gym isn’t on my way home then it is too easy to find excuses not to go. And a gym that is closer to my home than my work is too easy to bypass in my desire to just get home and out of traffic. Change jobs? Then change your gym. 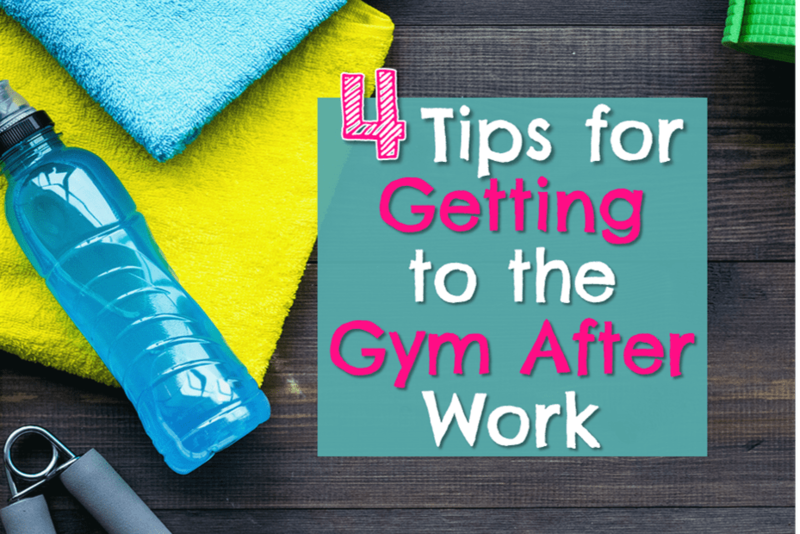 Change into your workout clothes before you leave work. Only once in all the times I have employed this strategy did I not go to the gym. Yes, you may get some odd stares walking out of the building but just ignore them and think how much healthier you will be for committing to your workout. Bonus Tip: Keep a couple of extra pairs of socks in your desk! 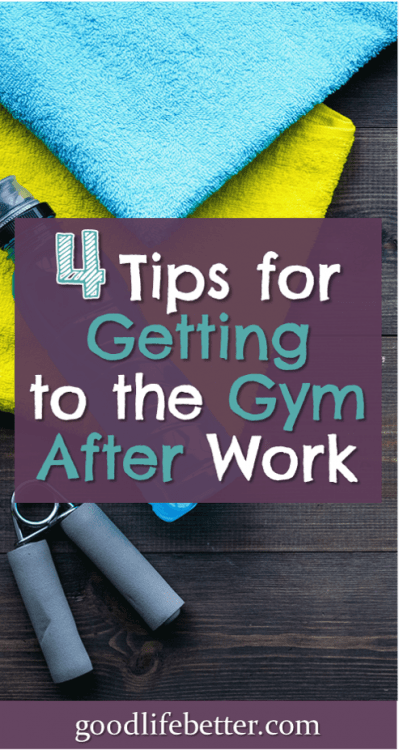 What Helps You With Getting to the Gym? Did any of these tips work for you? Let me know in the comment section!